When it comes to meeting aggressive growth goals, keeping sales and marketing activities working in the same direction is half the battle. With HubSpot’s Growth Stack, it’s easier than ever to pull it all together and increase visibility across your entire sales and marketing operation. The HubSpot Growth Stack is made up of three powerful software platforms: sales, marketing and CRM. By logging into one central location (instead of dozens of single-use tools), each person on your team will be able to see how every marketing and sales activity works together to capture leads and turn them into happy customers. The HubSpot growth stack is a great fit for companies with an aggressive growth goal that prefer a tightly integrated all-in-one system to manage their efforts. Simply put: we recommend it because it works really well. From one central location, sales and marketing teams can run campaigns that sync up with bots, offer meeting links, and integrate seamlessly with a wide array of other software tools that pull useful information into each contact’s timeline. The HubSpot Growth Stack simplifies lead handoffs, making it much easier to align sales and marketing activities for more effective campaigns. By the time a salesperson is assigned a lead, they can see that lead’s entire history of interacting with marketing activities. This gives them insight into each individual lead’s personal priorities and helps marketing teams know what’s working and what isn’t. 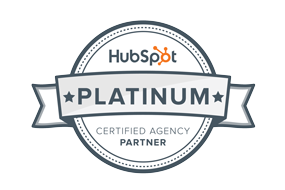 The HubSpot Growth stack simplifies reporting across the entire sales and marketing operation. With contacts, customer data, dashboards, reports, and pipelines all in one place, teams can make better, more informed decisions in less time.